Its one of my favorite mayo fried chicken recipe because it has mayo in it and I am a big fan of mayonnaise. I love mayo in any form. It contains vitamin E and hearts healthy oils. Some mayonnaise is made with omega-3 fatty acids, which have been shown to reduce sudden death from heart attacks and have also been linked to the positive treatment of depression, arthritis, and colon inflammation. 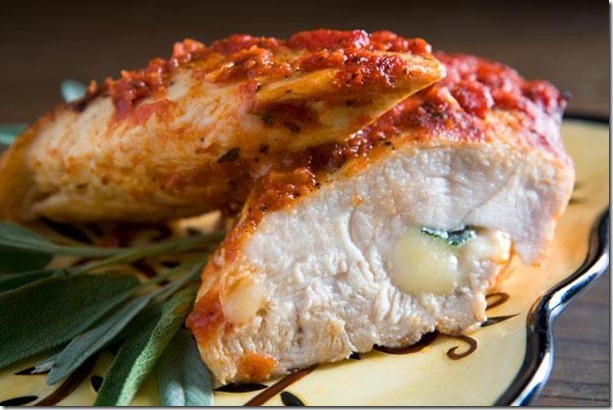 Cut chicken breasts into 2 thick pieces. Cut them from the middle to open them up. Put salt, garlic paste, red chilies, black pepper and 2 eggs in a bowl and mix well. Rub this mixture thoroughly on the chicken pieces. Add refined and corn flour and mix well. Put bread crumbs on a plate and beat 3 eggs in a bowl. Open each chicken piece and fill it up with mayonnaise. Coat the chicken pieces first in breadcrumbs, then in eggs and once again in breadcrumbs. Heat oil in a pan and put a chicken in it, lower the flame and cover with lid. When the pieces turn golden, take them out in a dish. Cut them from middle and serve. which country does dis dish originate from? could you please tell me…i need to kno! thanx! i dont know the origin of this recipe, i saw it on tv and then i tried it. it was awsome. just found your website on google..i think its awesome thanks for posting all these recipes i cant stand watching tv for 60 minutes for a recipe! 🙂 anyways wanted to ask u before tryig this that how do i open up the chickn to put in the mayo?do i make a slit inside?wont it just come out?? i tried this recipe just make sure that breast slices are thin otherwise they will not cook well from inside and mayo will not come out because of the coating. dont cut it fully just make a whole in it like pocket.